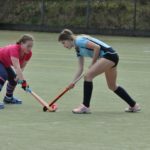 In the two Arran Dairies League games on Monday evening Lamlash returned to form and won their game against Shiskine, while their surprise victors from the week before, Northend, managed to put up a brave fight against Brodick who secured their victory in the second half of the game in windy conditions. 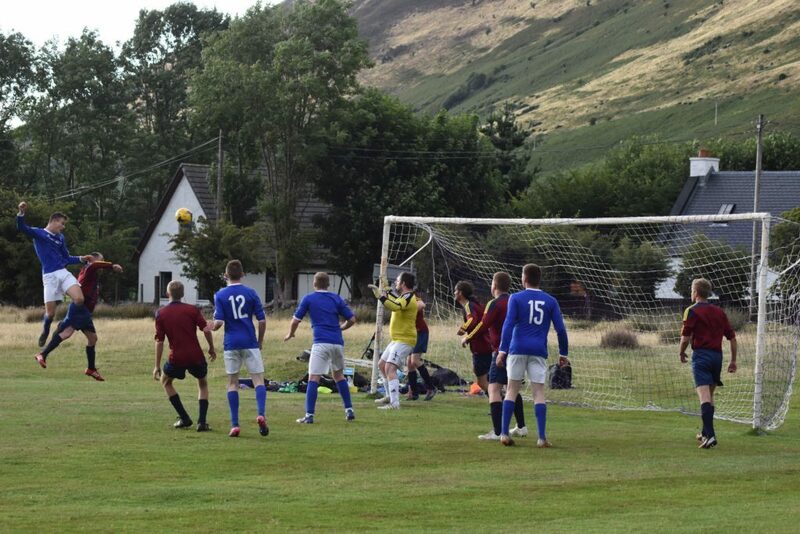 The BBC cameras were in Lochranza on Monday night to film Northend’s game against Brodick for a future feature on football on Arran, but with the wind blowing hard it made for tricky conditions which led even the most accomplished footballers into unforced errors. The first half was very tight with the score being 1-1 at half-time. 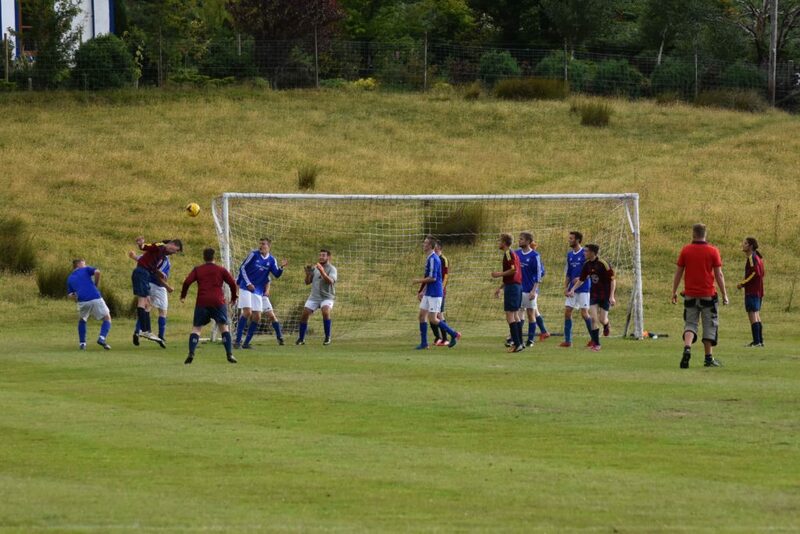 Toby Wingham had opened the scoring for Brodick with a great solo run from the halfway line. 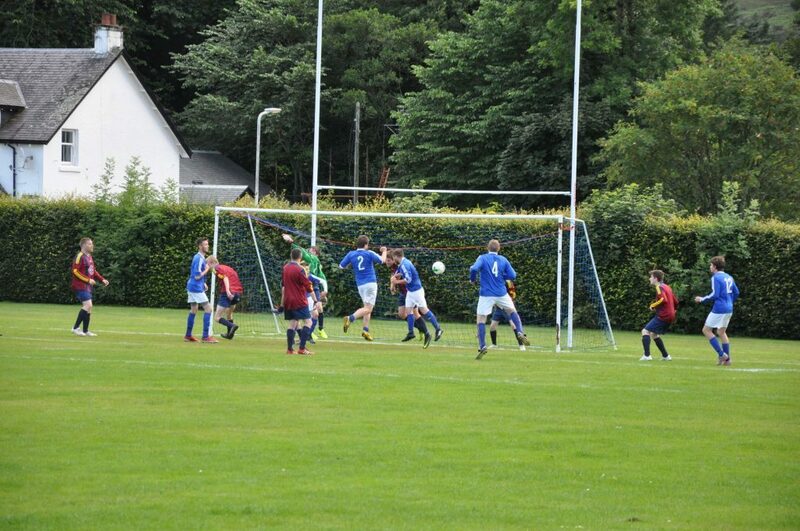 However, Andy McNamara had equalised with 10 minutes to go in the first half. 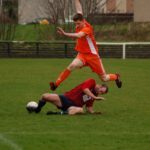 In the second half Brodick seemed to play better going into the gusting wind and it wasn’t long before Cameron Logan made it 2-1 for the visitors, scoring against his old team. Toby then got his second of the match to make it 3-1 and it looked like last years champions would run away with it. Northend has other ideas though and after a well worked corner Andy got his second goal of the game after heading in from close range. 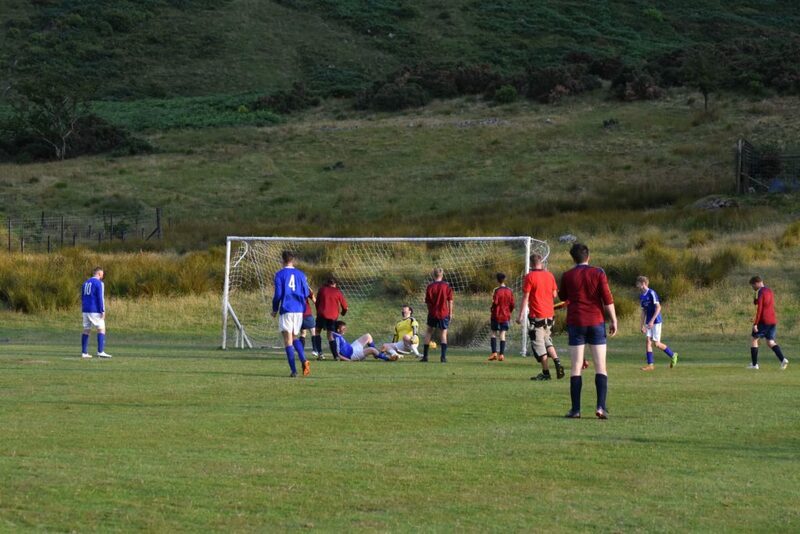 Joel Small eased the nerves for Brodick though as he scored twice late on to make the final score 5-2. The second of his goals was the goal of the game with a sublime strike from the edge of the box leaving goalkeeper Michael McGuire with no chance to block it. Referee Danny Head gave Joel the man of the match owing to his powerful and menacing runs. 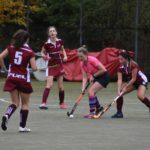 Lamlash bounced back from their defeat to Northend in their last time out to record their first victory over Shiskine this season. The first two fixtures between these teams ended in draws but Shiskine were well outclassed on Monday night. 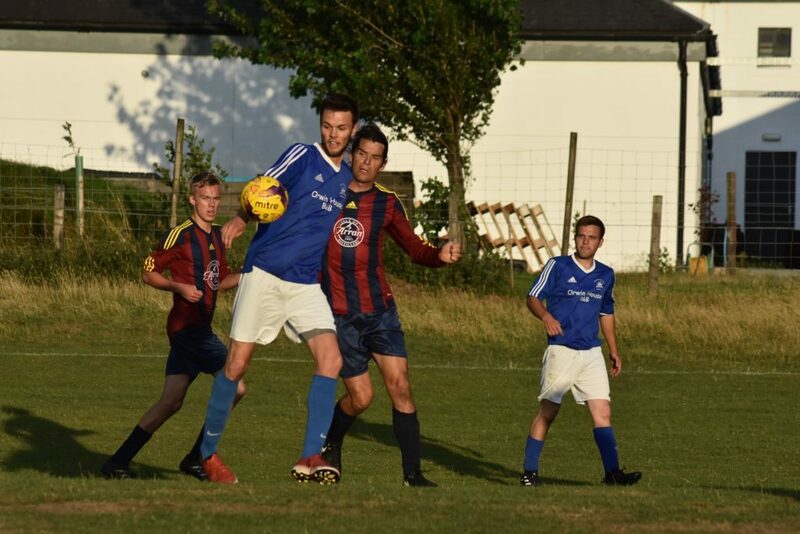 Lamlash captain and playmaker Johnny Sloss got back to his goal scoring and scored two for the away team with last years runner up for young player of the year, Luc el Adm, also getting in on the action and on the scoresheet. Referee Willie Sillars had to put David Copperwheat, John Mulholland and Jordan Crawford in the book during the game. Willie gave the man of the match to Ben Tattersfield who got the fourth Lamlash goal and was a constant threat to the opposition with his pace. The next fixtures on Monday August 6 will see Northend taking on Southend at 7pm and auld enemies Lamlash facing Brodick at 6.30pm.